Coffee seeds are sown in beds in shaded nurseries. They usually germinate after about one month. When the young seedlings have their first 2-4 leaves, they are transplanted from the beds to pots. Transplant seedlings in planting sites when the seedlings have 1-2 pairs of branches. It takes about a year to reach this stage after sowing. 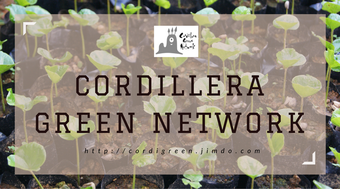 Coffee seedlings are transplanted during the rainy season (May-September in the Cordillera) as they need water to firmly establish their roots in ground. Fertilizer is applied and weeding is done to help healthy growth of the coffee trees. When necessary, shade trees are pruned to control the amount of sunlight. It usually takes 3-5 years for the newly planted coffee trees to start flowering and bearing fruits. Coffee trees produce cream-white flowers usually from March to May. The flowers are highly scented. After the flowers fall off, they start bearing green berries. The berries change their colors from green to yellow, and then orange. When they turn deep red, they are completely ripe and are ready to be harvested. Ripe coffee cherries are carefully handpicked. In the Cordillera, the harvesting season usually starts in December and continues until February. Many of the coffee producers in the Cordillera now use a simple equipment called a pulper to remove pulp of the cherries. After pulping, the beans are soaked in water and floaters are removed. Then, they are left to fermentation overnight to remove the slimy mucilage on their surface. Coffee parchments are dried under the sun. Depending on the weather, this process usually takes one week to ten days. The moisture content should be reduced to 10-12%. In the Cordillera, farmers usually use a mortar and pestle to remove the parchment from the beans. This process is called hulling. Defective beans and foreign objects are removed manually. Coffee bean defects include insect/disease damage, moldy, over-fermented etc. Removing such defective beans through careful sorting ensures quality coffee. There are generally eight grades from light to dark in roasting. Each of them creates distinct aroma and flavor. In the Cordillera, people traditionally roast coffee in a wok or a pan. However, recently roasting machines are commercially available, and government agencies provide them to farmers' groups to promote coffee industry in the region. Roast coffee beans are ground with a grinder. Depending on the preference and brewing style, the grind size (fineness/coarseness) is adjusted. Finally, brewing creates an aromatic cup of coffee after the long process from seed to processing. Traditionally, people in the Cordillera boil coarse grounds in a kettle. Handdripped coffee gives lighter and more refreshing flavor while french press draws out more rustic and stronger flavor.